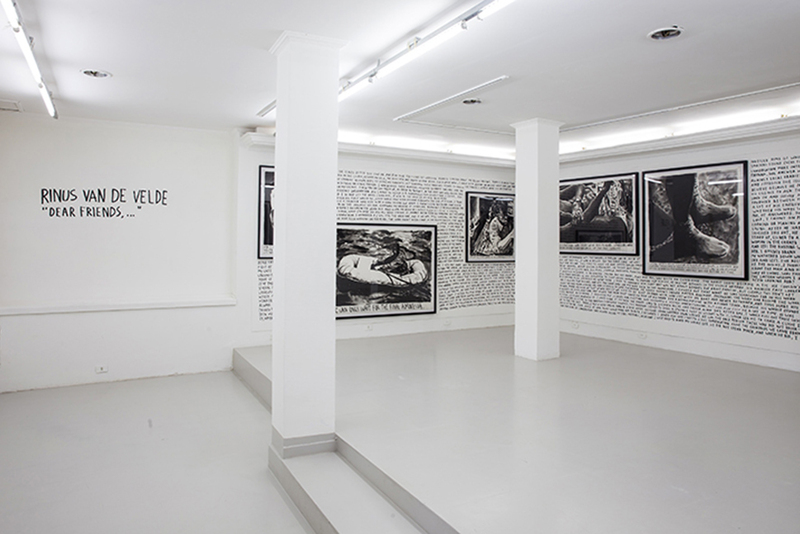 For his first solo show in Brazil, Belgian artist Rinus Van de Velde presents a site-specific work, composed of large format charcoal drawings and text captions. Together they guide the viewer through the story he wants to tell, evoking the illusion of places, populated by characters spanning from a hallucinatory outsider living on an isolated island, to a 19th century sculptor. © Rinus Van de Velde. Courtesy Tim Van Laere Gallery.